Due to French composer Florent Schmitt’s celebrity status as a composer and noted music critic during his lifetime, it should come as little surprise that his legacy would live on following his death in the form of music prizes issued in his name. And in fact, two Florent Schmitt prizes would be established. The first of these was run by the Académie du Disque Français, an organization which had been founded in 1951 by Colette, Maurice Yvain, Jean Fayard and the poet Guy-Charles Cros, son of the inventor of the phonograph. Its founding president was Arthur Honegger. The Académie des Beaux-Arts in Paris. 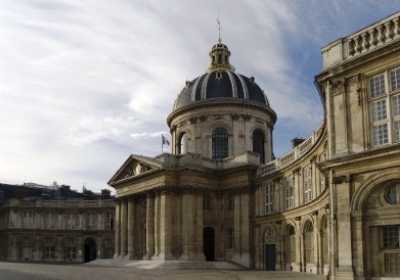 The Académie du Disque Français began to wind down its activities during the 1970s, eventually ceasing operations completely in the 1980s. But beginning in the mid-1970s a new Florent Schmitt Prize was established that has continued up to the present day. This one is adjudicated by the Académie des Beaux-Arts (part of the Institut de France) and is awarded in honor of notable living French composers. N.B. Additions or corrections to the listings above are welcomed.